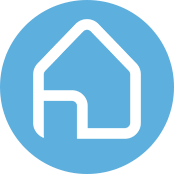 To cover the costs of operating Housli and to provide support on your trip, there is a service fee to hosts who accept an accommodation on the Housli platform. The service fee to hosts ranges from 6-9% of total booking cost (including cleaning fees), plus a 3% transaction fee. The longer a guest requests to book, the lower the service fee percentage will be. The exact service fee amount can be seen on each booking request. Get Started. No service fees for guests.